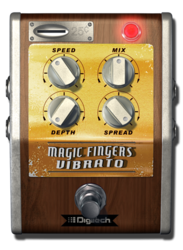 Vibrato is an effect that takes your guitar signal and modulates the pitch slightly giving it an animated vocal quality. 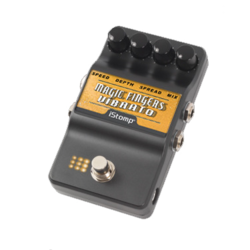 DigiTech Magic Fingers brings a new set of features to this classic by providing not only standard vibrato but some amazing vibrato/panning and chorusing effects as well. 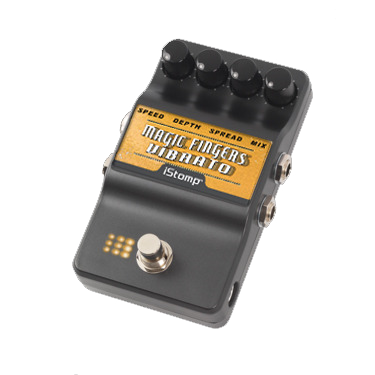 Adjust the SPREAD control to change the modulation from being synchronized in both outputs to moving from left to right creating dramatic stereo imaging. 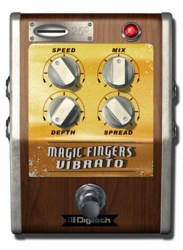 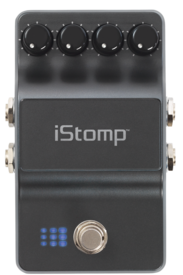 The MIX control allows adding back in dry signal to produce some of the most relaxing chorusing found in a stompbox. 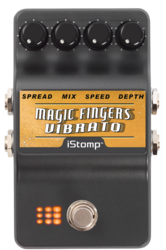 MIX - Controls the mix of the dry and effect signal creating classic vibrato or chorusing.